The first bike-sharing service in Peru will be in Lima with Smoove bicycles !!! 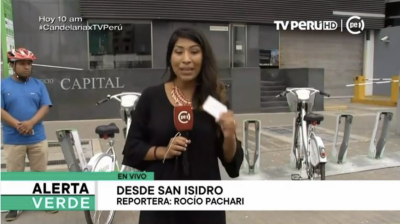 The Smoove bike sharing system was presented to the public by Mayor Jorge Munoz on 22th Nov 2018. 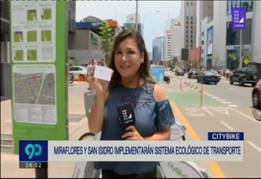 The first stations are launched in Miraflores and San Isidro, 2 districts of Lima for a full service opening in early 2019. For the first time in the Capital, citizens will be able to cyle the city with style on a smoove bike as they do in Moscou, Helsinki, Vancouver or Paris ! Lima inhabitants will benefit a total of 1000 bikes in 100 Smoove stations early 2019! "Beyond leisure, bicycles must be used as a mode of transportation," said Jorge Munoz, an alternative that should be favored and encouraged for short journeys. SBP « Servicio de Bicicletas Publicas, CityBikeLima, is the first Smoove project in South America and we are very proud of it! Commercial launch in early 2019! CityBike Lima is a bikesharing service operated by Moventia and powered by Smoove.